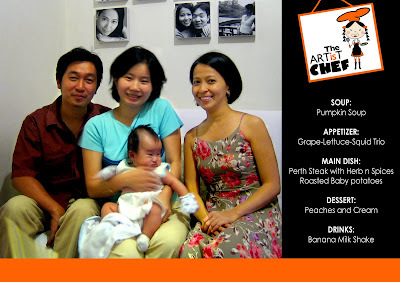 Meet Cathy Yu, a chinese florist who was enticed by the idea of The Artist Chef dining. So here she is having her dining experience along with her husband. She insisted to bring her son because no one will take care of the baby . 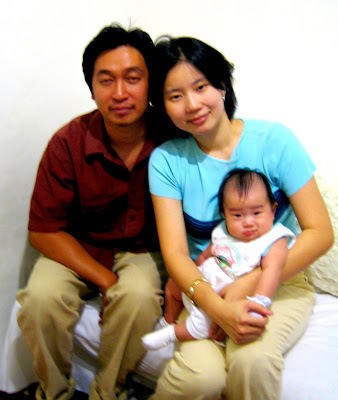 The baby looks like my chinese friend Harvey Diez---baby version. Aside from that there's one thing that is unforgettable about Cathy---when she asked me to fax my set meal menu instead of email. I find that kinda funny. Anyway she also offered a deal; it's like a tie-up, her flower business and my intimate dinner. But as of the moment I don't see any demand for flower arrangement, unless my customers will request for that. 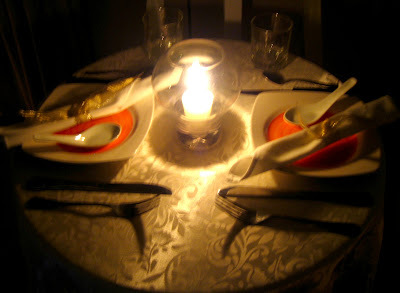 This table setting was specially made for Cathy. 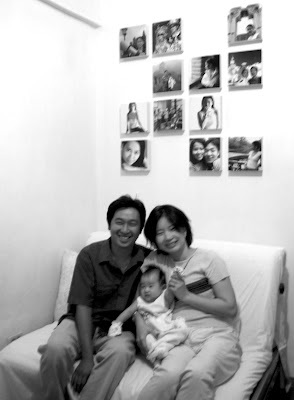 Family portrait at "The Artist Chef" Place.